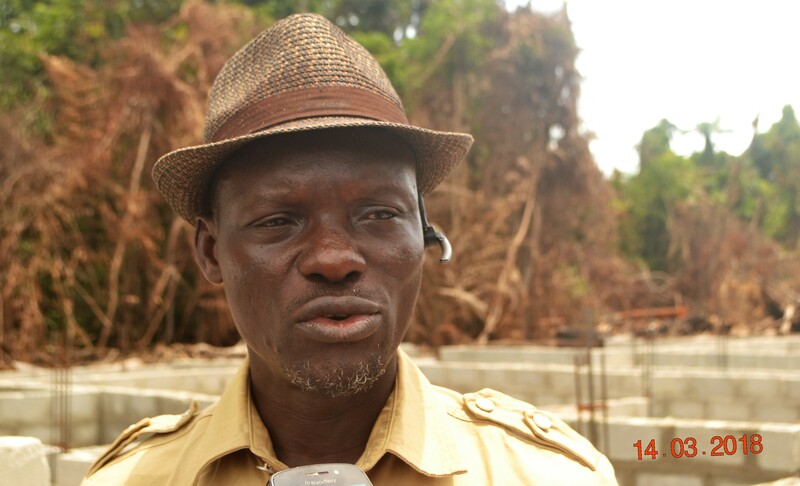 The Pere of Gbaramatu Kingdom in Warri South-West Local Government Area, Oboro Gbaraun II Aketekpe, Agadagba has showered praises on the National Coordinator, Centre for Peace and Environmental Justice, CEPEJ, Comrade Sheriff Mulade, saying the entire people of Gbaramatu are very proud of him for “his selfless service to the development of the kingdom”. 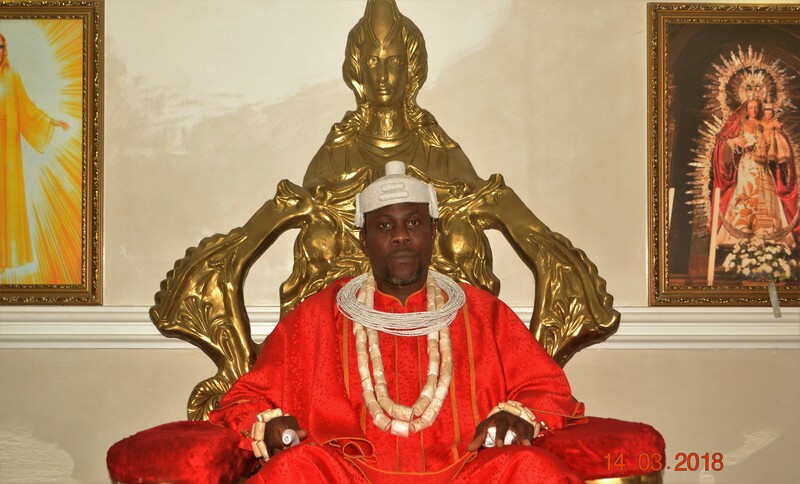 The Gbaramatu Monarch gave the commendation Wednesday March 14 at his Palace in Oporoza during a visit by members of CEPEJ. According to him, Comrade Sheriff Mulade and CEPEJ have worked hard to attract development as well as local/international attention to Gbaramatu. While describing Comrade Mulade’s contributions to Gbaramatu as enormous, Pere Oboro Gbaraun II urged genuine investors as well as sons and daughters of Gbaramatu to emulate Comrade Mulade. Mulade who informed his Monarch of the planned opening/unveiling of CEPEJ Centre at Ugolo-Okpe near Warri, presented some past activities/2018 Calendar as well as Peace and Environmental Africa Journal to the Pere. 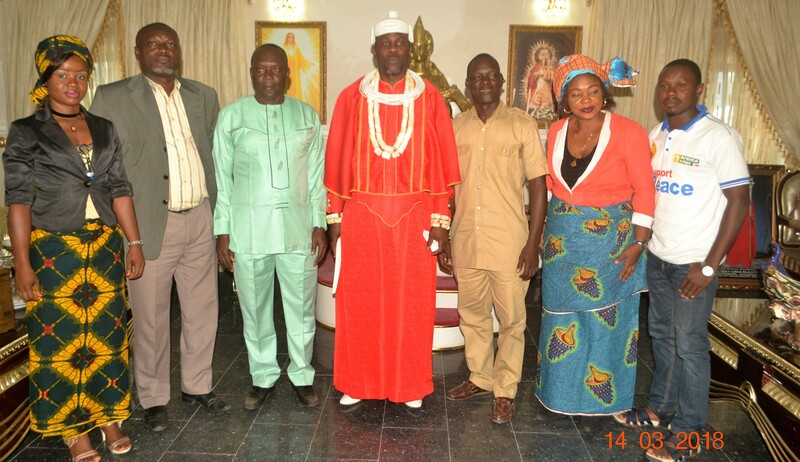 Our Senior Correspondent reports that the CEPEJ National Coordinator was accompanied to the Pere Palace by Chief Nelson Ogelegbanwei and other members of CEPEJ. Comrade Mulade who also inspected the construction of hostel at Kokodiagbene Community being executed by DESOPADEC, commended Delta State Governor, Dr. Ifeanyi Okowa for awarding the contract, even as he called for speedy completion. He advised other aspirants to the Warri South-West Constituency Seat in Delta State House of Assembly to shelve their ambition because his 2019 House of Assembly ambition “is centred on masses support base”. On the take-off grant for Nigerian Maritime University, Comrade Mulade appreciated the Federal and Delta State governments for their support.